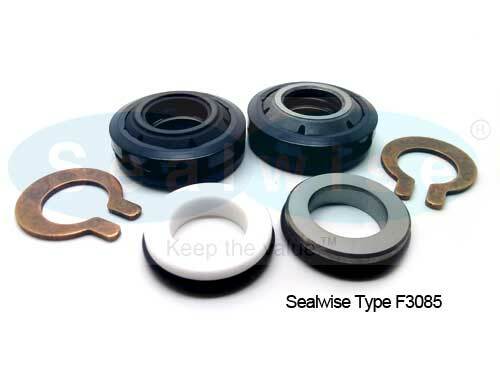 An end face mechanical seal, also referred to as a mechanical face seal but usually simply as a mechanical seal, is a type of seal utilized in rotating equipment, such as pumps, mixers, blowers, and compressors. When a pump operates, the liquid could leak out of the pump between the rotating shaft and the stationary pump casing. 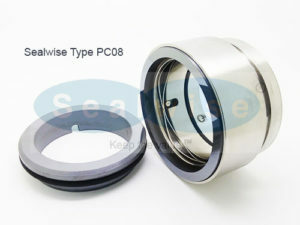 Since the shaft rotates, preventing this leakage can be difficult. Earlier pump models used mechanical packing (otherwise known as Gland Packing) to seal the shaft. Since World War II, mechanical seals have replaced packing in many applications. 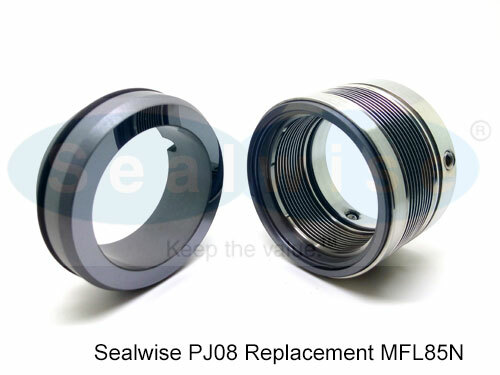 An end face mechanical seal uses both rigid and flexible elements that maintain contact at a sealing interface and slide on each other, allowing a rotating element to pass through a sealed case. The elements are both hydraulically and mechanically loaded with a spring or other device to maintain contact. 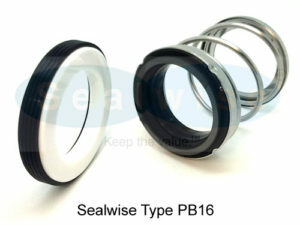 For similar designs using flexible elements, see Radial shaft seal (a.k.a. “lip seal”) and o-rings. 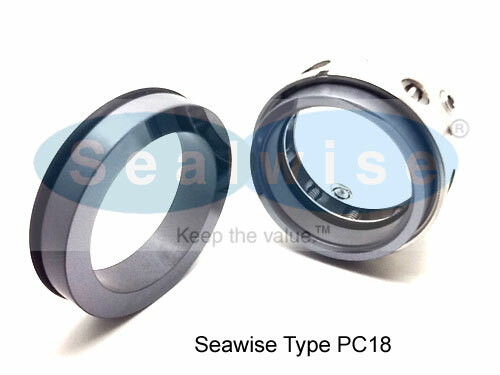 The primary sealing surfaces are the heart of the device. 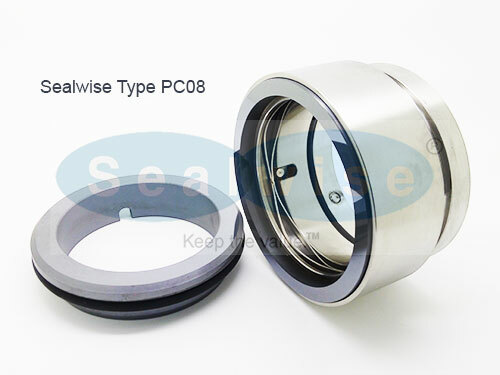 A common combination consists of a hard material, such as silicon carbide, Ceramic or tungsten carbide, embedded in the pump casing and a softer material, such as carbon in the rotating seal assembly. Many other materials can be used depending on the liquid’s chemical properties, pressure, and temperature. These two rings are in intimate contact, one ring rotates with the shaft, the other ring is stationary. These two rings are machined using a machining process called lapping in order to obtain the necessary degree of flatness. Mechanical seal face geometry is one of the most critical design elements within a mechanical seal. 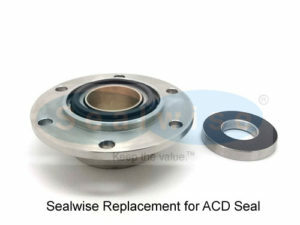 Seal face properties such as: balance diameter, centroid location, surface area, surface finish, drive mechanism, and face topography can be altered to achieve specific results in a variety of liquids. 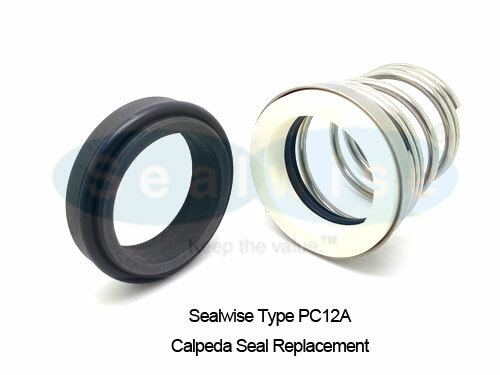 Seal face topography refers to the alteration of an otherwise flat seal face sealing surface to one with a three-dimensional surface. All mechanical seals must contain the four elements described above but the way those functional elements are arranged may be quite varied. Several dimensional and functional standards exist, such as API Standard 682 – Shaft Sealing Systems for Centrifugal and Rotary Pumps, which sets precise configurations and sizes for mechanical seal used in Oil & Gas applications. 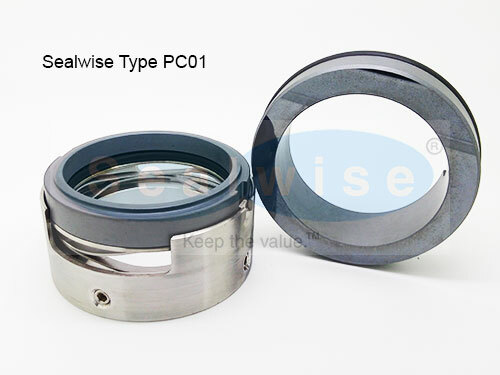 Mechanical seals are generally classified into two main categories: “Pusher” or “Non-Pusher”. These distinctions refer to whether or not the secondary seal to the shaft/sleeve is dynamic or stationary. 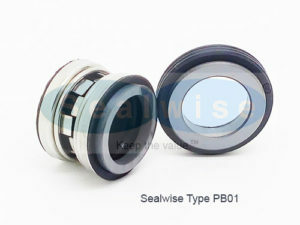 Pusher seals will employ a dynamic secondary seal (typically an o-ring) which moves axially with the primary seal face. 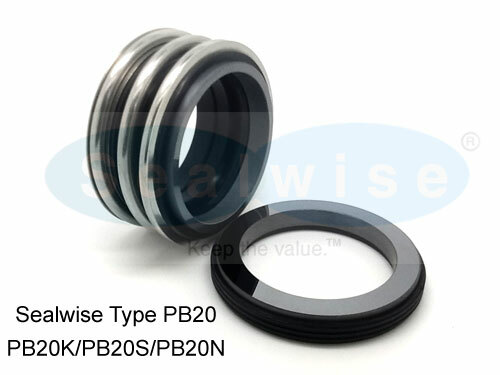 Non-pusher seals will employ a static secondary seal (either an O-ring, high temperature graphite packing, elastomeric bellows or metal bellows). In this case, the face tracking is independent of the secondary seal which is always static against the shaft/sleeve. 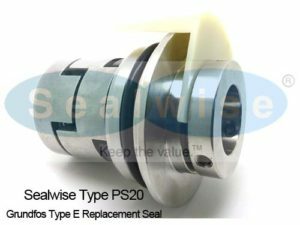 A “cartridge seal” is a prepackaged seal that is common in more complex applications and were originally designed for installation in equipment where a component type seal was difficult due to the equipment design. Examples of this are horizontally split and vertical pumps. 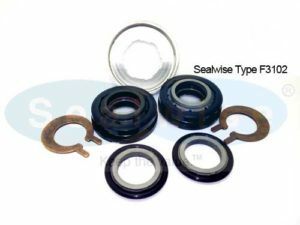 In 1975 the A W Chesterton Company designed the first cartridge seal that fit pumps with varying stuffing box bore sizes and gland bolt patterns. 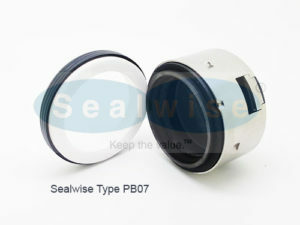 To accomplish this the seal utilized internal centering of the stationary parts and slotted bolt holes. 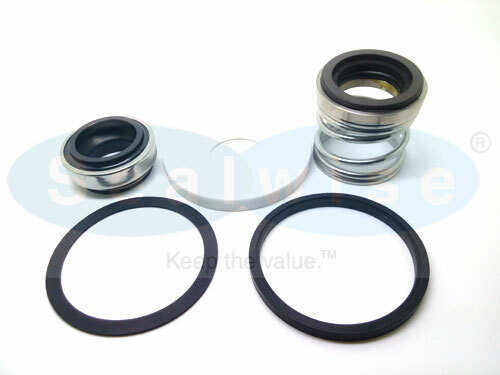 This “generic” cartridge seal could be manufactured in higher production quantities resulting in a cartridge seal that could be used in all applications and pumps types. Cassette seals, patent no. 6,685,191 introduced by Gold Seals, Inc., utilize a replaceable inner “cassette” mounted in the cartridge end plate or gland, while modular cartridge seal systems makes it possible to replace only the parts subject to wear, such as sliding faces, secondary seals and springs, while keeping the seal’s hardware (gland, sleeve, bolts). 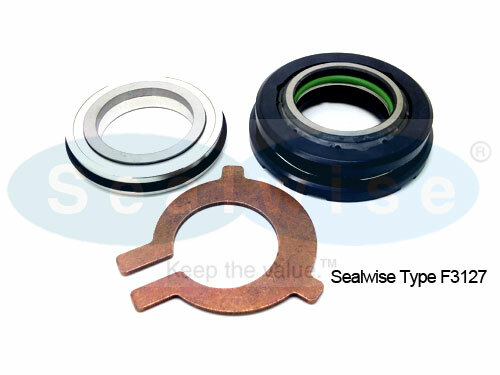 Cartridge seals can suffer from clogging due to the bigger space occupied inside the stuffing box, leading to dense or charged fluids not moving enough to centrifugate the solid particles. 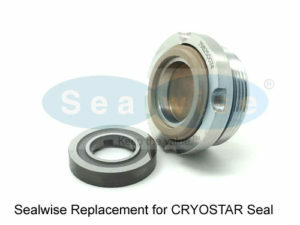 Since the rotating seal will create heat from friction, this heat will need to be removed from the seal chamber or else the seal will overheat and fail. Typically, a small tube connected to either the suction or the discharge of the pump will help circulate the liquid. Other features such as filters or coolers will be added to this tubing arrangement depending on the properties of the fluid, and its pressure and temperature. Each arrangement has a number associated with it, as defined by American Petroleum Institute “API” specifications 610 and 682. Usually these are considered to be disposable since refurbishing the metal parts and replacing the wearable items isn’t economical. Since almost all seals utilize the process liquid or gas to lubricate the seal faces, they are designed to leak. Process liquids and gases containing hazardous vapors, dangerous toxic chemicals or flammable petroleum must not be allowed to leak into the atmosphere or onto the ground. 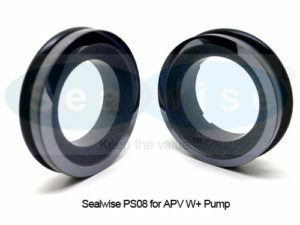 In these applications a second “containment” seal is placed after the primary seal along the pump shaft. The space in between these two seals is filled with a neutral or compatible liquid or gas (generally nitrogen) called a buffer seal (unpressurized) or barrier seal (pressurized). In a double seal [Generally Back to Back], the barrier liquid in the cavity between the two seals is pressurized. Thus if the primary seal fails, the neutral liquid will leak into the pump stream instead of the dangerous pumped fluid escaping into the atmosphere. 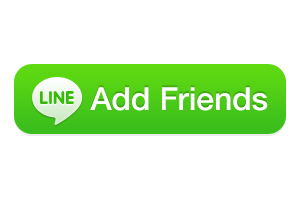 This application is usually used in gas, unstable, highly toxic, abrasive, corrosive, and viscous fluids. These are detailed in API Piping Plan standards #53a, 53b, 53c; or 54. 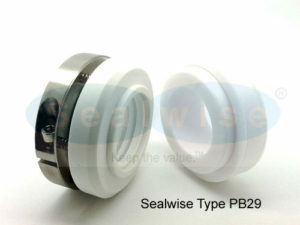 Plan 74 may also be considered a double seal piping plan, although it is used exclusively when describing a dry gas barrier seal support system. The barrier fluid used in a Plan 74 system is simply a gas, not a liquid. Typically, nitrogen is used as its inert nature makes it advantageous due to mixing with the process stream being sealed. 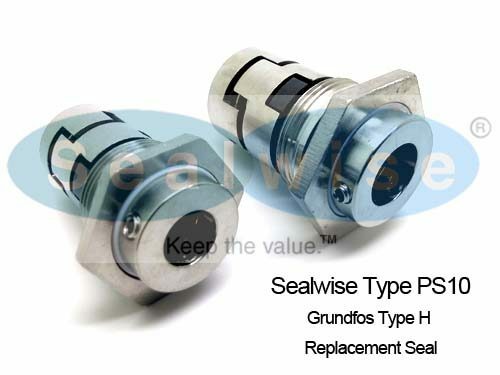 Tandem and double seal nomenclature historically characterized seals based on orientation, i.e., tandem seals mounted face-to-back, double seals mounted back to back or face-to-face. The distinction between pressurized and unpressurized support systems for tandem and double seals has lent itself to a more descriptive notation of dual pressurized and dual unpressurized mechanical seal. 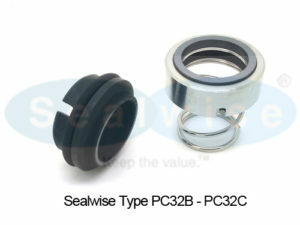 This distinction must be made as traditional ‘tandem seals’ can also utilize a pressurized barrier fluid. The mechanical seal was invented by George Cook and was originally called a “Cook Seal”. He also founded the Cook Seal Company. Cook’s seal (which actually did not have a means of drive) was first used in refrigeration compressors. The Cook Seal company was a sideline product for Cook and he sold the company to Muskegon Piston Ring Company where it was renamed as The Rotary Seal Division of Muskegon Piston Ring Co. Muskegon Piston Ring sold the Rotary Seal Division to EG&G Sealol who in turn was largely acquired by John Crane Industries of Morton Grove, IL.